Hey guys! We've finally made it to Friday. It's been a crazy week, so I thought I would wrap things up with a rainbow of shimmers inspired by Vegas. This is a five piece collection inspired by the lights and glam of Vegas. 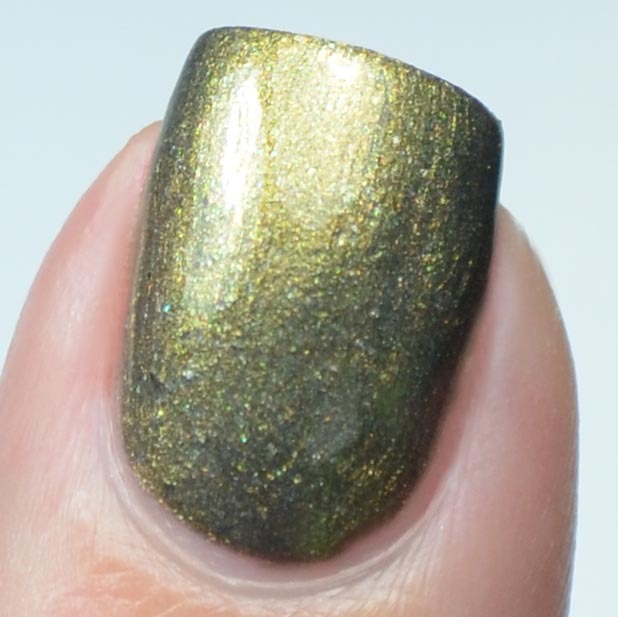 This is the Bohemian Polish Vegas at Night Collection. You may have counted more than five shades in the photo above. One of the six shades was a free gift with purchase during Giving Week. That shade is no longer available for purchase. As for the top coat, I don't have a top coat specific photo, but all of my swatches were done using the new, reformulated Bohemian Polish Flash Dry. It's 5-free, and dries lightning fast! Notes: This lovely shade was inspired by the twinkling lights of the Flamingo. Notes: This was inspired by the reflection of the Red Rock Range against the glass on The Strip. Notes: This was inspired by the Golden Nugget, one of the older casinos in Vegas. Notes: Emerald City was inspired by the MGM Grand and the neon green lights. Notes: This was inspired by the glassy blue towers of the Aria. In addition to the Vegas at Night Collection, I had the opportunity to try and review three scents from Bohemian Polish. The three scents were: mint hot cocoa, macron, and butterbeer. All three were delightful, but I definitely had a favorite. 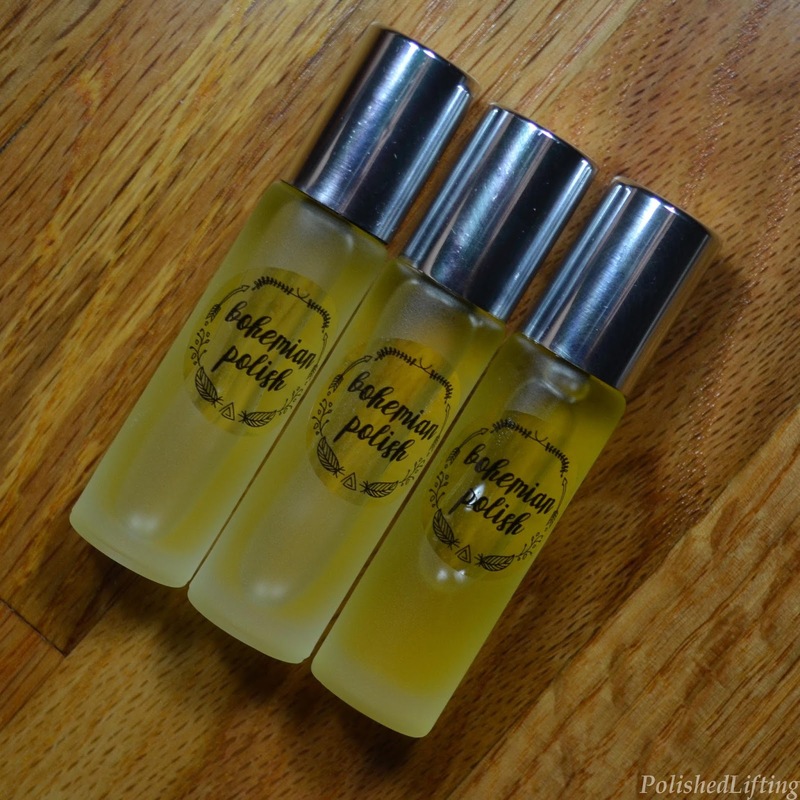 Macron is hands down one of the best cuticle oil scents I've ever smelled. I seriously need it in bath bomb and lotion form asap. 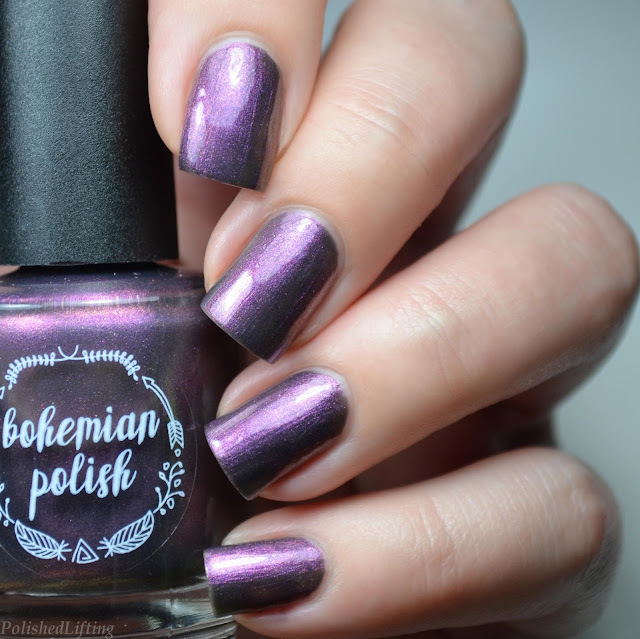 The entire Bohemian Polish Vegas at Night Collection is currently available for $10 each. 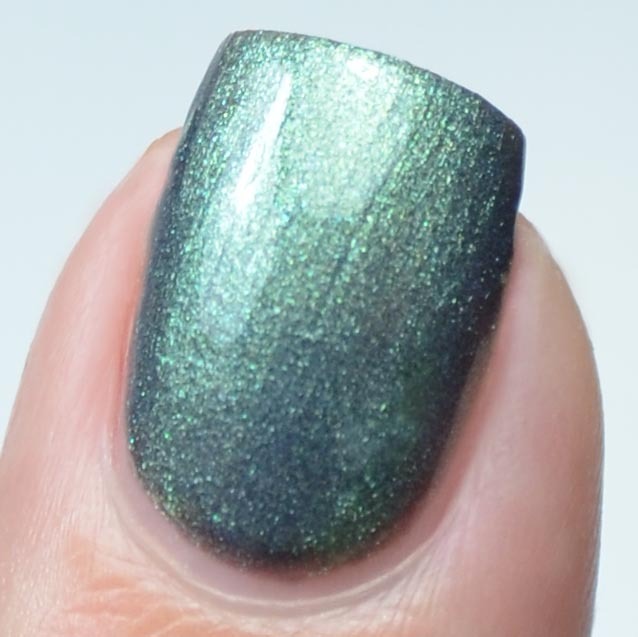 Flash Dry retails for $6, and cuticle oils are $4.50. You can find the entire collection for sale at the links below.